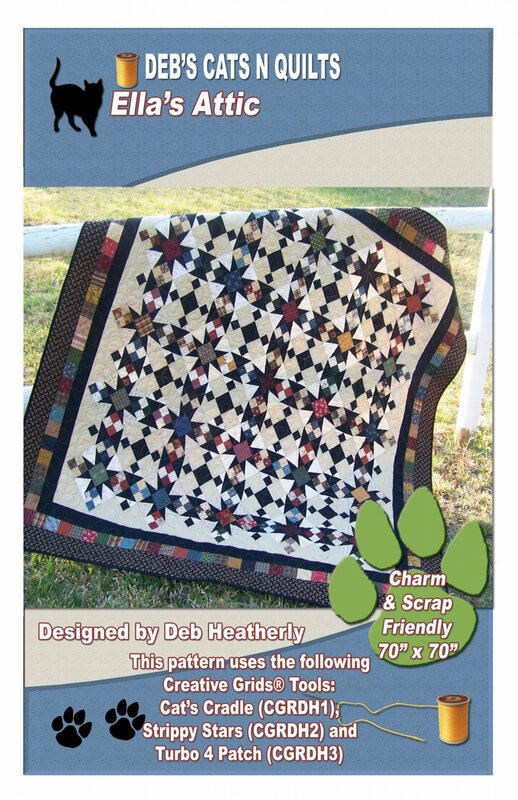 This pattern is charm square and scrap friendly! Uses Creative Grids Tools: Cat's Cradle Tool-CGRDH1, Strippy Stars Tool-CGRDH2, and the Turbo 4 Patch-CGRDH3! Size: 70 " x 70"